UCI Professor Mu-Chun Chen awarded Humboldt Research Fellowship from the Alexander von Humboldt Foundation. UCI Professor Mu-Chun Chen has been awarded the Humboldt Research Fellowship from the Alexander von Humboldt Foundation. 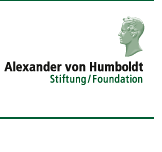 In providing Humboldt Research Fellowships, the Alexander von Humboldt Foundation enables highly-qualified scientists and scholars from abroad, to spend extended periods of research (6-18 months) in Germany. This fellowship will allow Professor Chen to conduct research at the Technical University Munich. She will be researching on the properties of neutrinos, a subatomic particle that was discovered by UCI's Frederick Reines more than 5 decades ago. In addition, she will explore a possible origin of the observed cosmological asymmetry between the matter and antimatter in the Universe. The foundation enables highly-qualified scientists and scholars from abroad to perform research in Germany.